8 May – Results uploaded. 25 Apr – Send-off for Team Singapore. 21 Apr – Schedule added. 6 Feb – Qualifying info posted. 5 Feb – Page created. You can find out the results here. SEA Youth selection for Singaporean citizen only. Minimum 16 years old (1997 & 1998 only) to be selected for this meet. Athletes must be below 18 years old (16 & 17 years old to be selected). a. 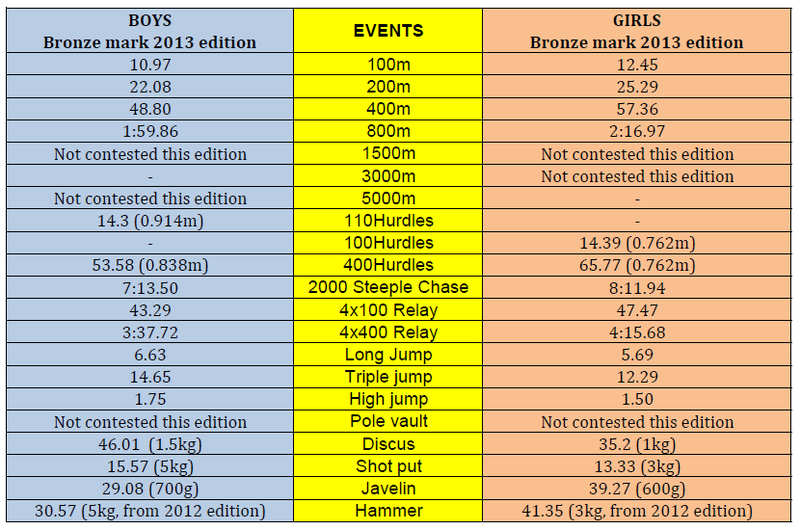 3rd placing of SEA Youth 2013 (See below qualifying mark table). b. Athletes who met the qualifying mark will be nominated. c. If only 2 Athletes per country are allowed per event and more than 2 athletes meet the qualifying mark, the top 2 ranked athletes according to the qualifying window period from Jan 2014 – Mar 2014, will be nominated. d. All SAA sanctioned competition results from Jan 2014 – March 16 2014 (or up till SAA series 3) will be considered for nomination. f. SAA reserves the right to drop any qualified Athlete if the Athlete is deemed unfit to perform at a competitive level. g. Relay selection will only be finalised once the team is formed. Events contested listed below are tentative, and pending confirmation of events by the Myanmar organizer. Click here to enlarge this table. There will be no U21 events for this edition.